By installing Energy Suspension Manual Transmission Shifter Bushings, you’ll take the slop out of your shifting mechanism and you’ll be able to make faster, more consistent shifts. These new shift stabilizer systems are made of long lasting, firmer polyurethane. 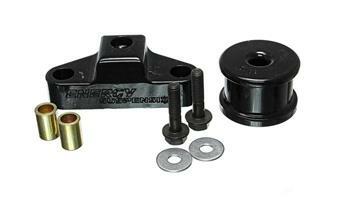 These bushings handle the stresses put on the vehicle for high performance driving, as well as all out racing.